The ongoing cookie challenge between Corinne from Wondermom Wannabe and myself has evolved into a brownie challenge. 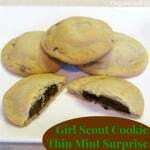 You may remember that the challenge started with my Oreo Surprise cookie and most recently included Corinne’s Pistachio White Chocolate Chip Cookies. Corinne shared that her children are singing my praises ala Bill Cosby (“Susan is great, she gets our mom weekly to bake”), but I’ve been feeling a little guilty instigating this sugar filled competition. I decided to work on a healthier brownie recipe for my submission to the challenge this week. 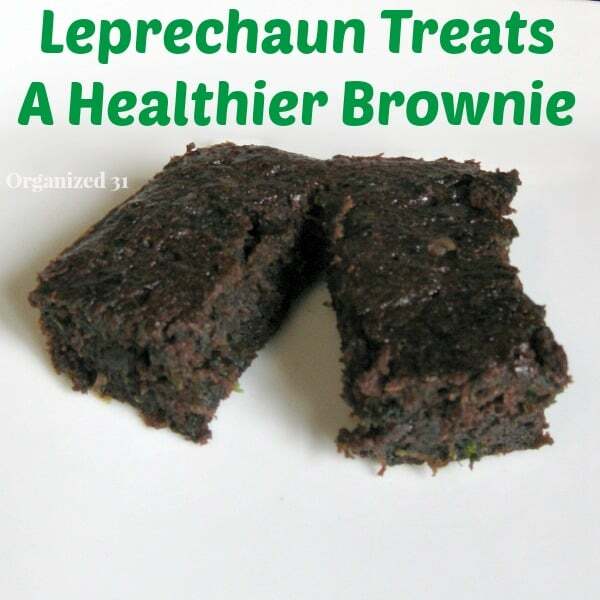 So in honor of St Patrick’s Day, I whipped up a batch of Leprechaun Treats, a healthier brownie from a box mix. In my effort to make a healthier brownie, I combined two of my “healthy” brownie recipes into one. It all starts with your favorite brownie mix. Use the recipe on the back of the box, but substitute the same amount of applesauce for the oil in the recipe. The applesauce changes the texture of the brownie, but not the taste. Just be aware that the texture will be more of a moist cake texture. In addition to the standard ingredients, add 5-10 ounces of chopped spinach to the batter. 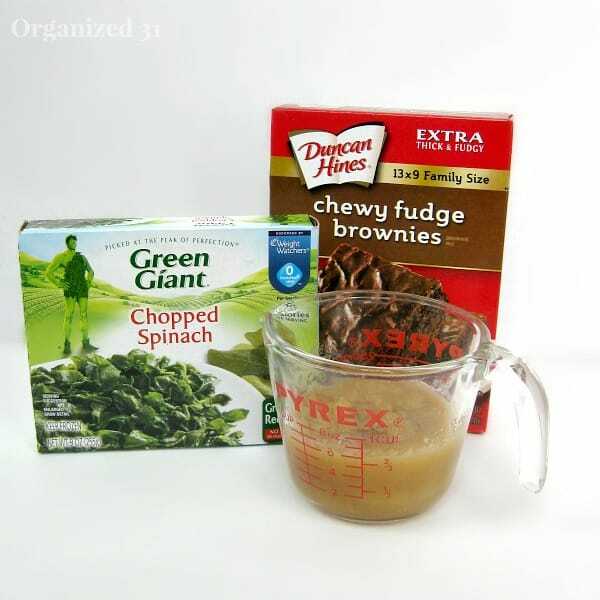 The spinach does give the brownies a slightly different brownie taste, so you may want to start with 5 ounces of spinach in your first batch and see what you think before you add more. I chopped the spinach even more in a food processor before I added it to the mix. Bake the brownies according to the directions on the box. 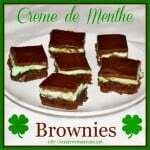 In just a short while, you will have created your own batch of Leprechaun Treats. 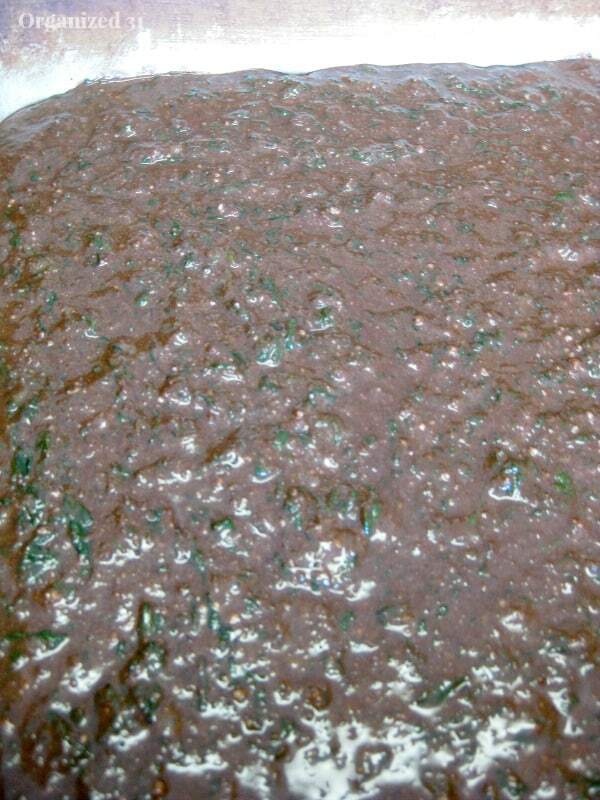 Now to be totally honest, if you are expecting a traditional brownie, this is not it. When I baked these yesterday, my children were excited that I was baking brownies, but then were disappointed because the texture and taste were different from what they were expecting. I knew what I was getting when I took a bite and I enjoyed these brownies. I recommend that you sell these as Leprechaun Treats rather than brownies to give them a chance at a better reception with your family. 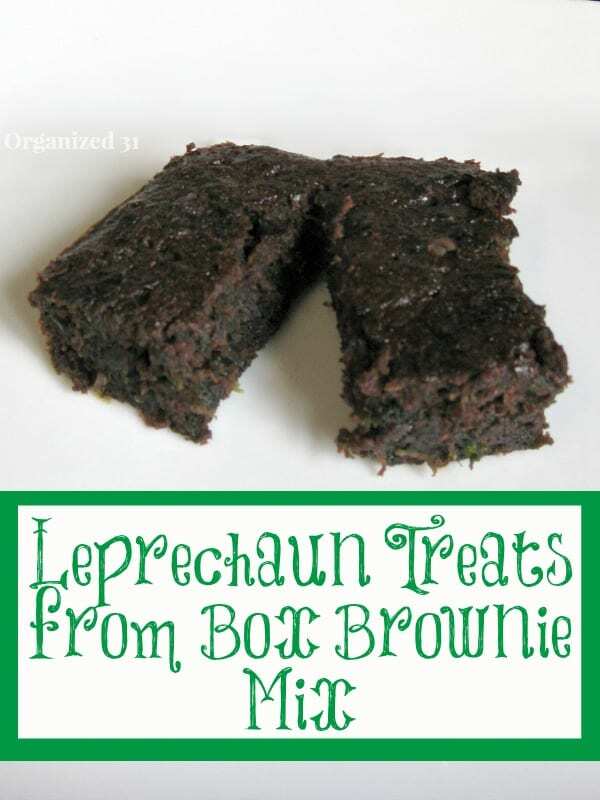 Corinne, I hope your family likes these Leprechaun Treats a healthier brownie from a box mix! Now tag, you’re it. 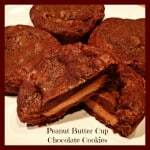 And feel free to take our challenge down the decadent-not-healthy-brownie path! I think I would like them but I would have to tell my family they were different 😉 They look good and definitely more healthy! I’m glad we are transitioning away from making desserts even more decadent (e.g. 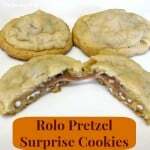 hiding candy and cookies inside of other cookies) to making them healthier. I’ve got some baking to do this weekend now that you’ve tagged me. I’m going to keep you in the kitchen as long as possible because I’m secretly dreading the transition into craft challenges where I will be at a distinct disadvantage! This recipe is great! I love the secret ingredients and would love to give this a try. The only problem is that I am the only person in the house who loves brownies, so I would end up eating them all! This is a little too green to pass with my family, but I’m going to try it. If nothing else, I can share them with my healthy work babes! Plus, I have raw cocoa powder, so I’m thinking if I throw a bit of that in there, it will offset the green color. Enjoy. The texture is a bit more cake-y than brownie-y, but still tastes great.